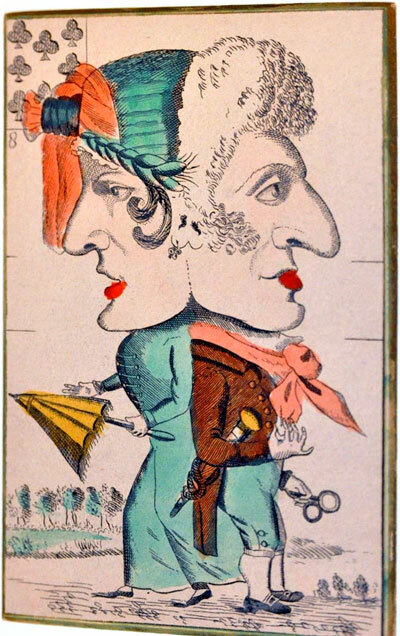 Jeu Grotesque was first published in France c.1800 featuring satirical and comic caricatures with enormous heads designed to excite laughter as well as for playing card games. Each card has a miniature playing card in the upper left-hand corner. 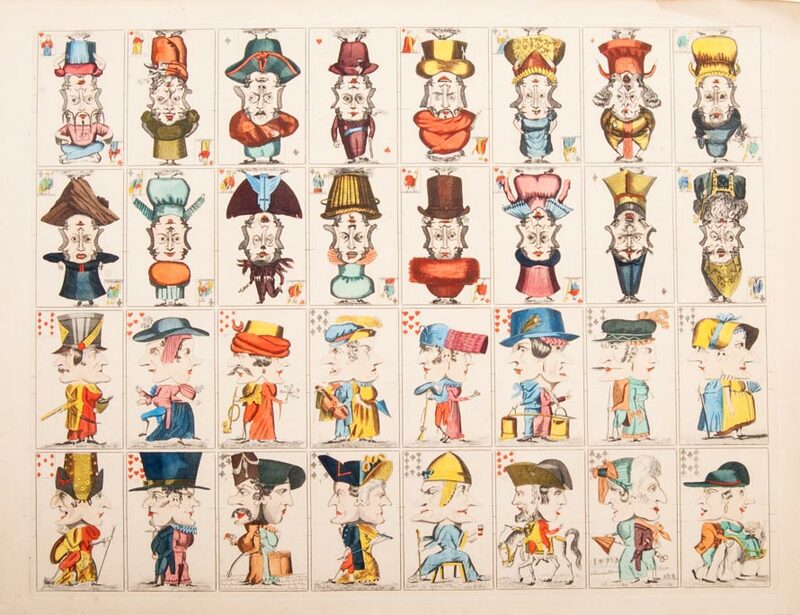 The 12 court cards are actually double-ended with a different picture each way, whilst the numeral cards (A, 7, 8, 9 and 10) are caricatures of Janus figures. The original cards each measure 10.8 x 6.8 cm. Above: facsimile published by Vito Arienti, Edizioni del Solleone, limited edition of 999 copies, 1977. 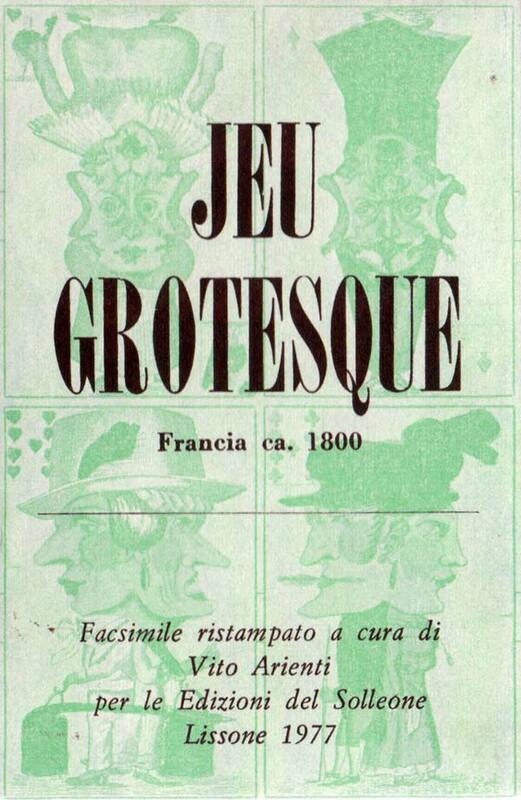 Above: miniature uncut version of Jeu Grotesque published by Vito Arienti, Edizioni del Solleone, 1977. Images courtesy Rex Pitts.